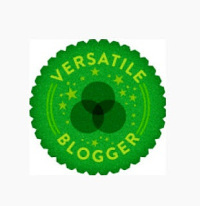 Many thanks to Vasudha – Traveldefined – for nominating me for the Versatile Blogger Award! This award is passed on to the blogs you like and follow. What a wonderful way to appreciate fellow bloggers. I am a positive and enthusiastic person. I love my family – they give me support and inspiration in my life. I write and publish books for children, helping them to develop skills and values. I enjoy long “talking-promenade” with my friends. I dislike envy and hypocrisy. My big hobby is “SPICY ROAD” (travel and food) and I like sharing my experiences with “Big Blogger Family”! Have a nice day and inspiring weekend! Bye Kamila. Why do Korean households have 2 fridges? Spicy Road has good tip for a “spicy” weekend trip. Congratulations to you Kamila. Well deserved! Thank you very much for your kind nomination. Congrats Kamila. 1000 times thank you for the nomination. its an honor for me. well a big thanks from the Priorhouse – and it feels like an award like this is also a blog high – five – and so here is a blog hug thank you ❤ ❤ ❤ – many thanks and peace out! I also like your list of 7 things about yourself – especially #1, #2, and #5 – take care -and keep up all that good cooking! ha! Thank you so much for the nomination. It was great to learn more about you. Thank you very much to all! I am very happy and I wish you a lot of inspiration for your writing and many happy readers. I look forward to reading your new posts. Thank you so much for your thoughtfulness and congratulations on a most well deserved award!